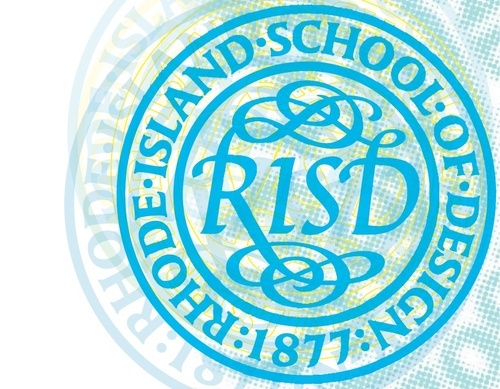 Last weekend I spoke at RISD’s annual Art of Business Bootcamp, an all-day conference designed to give RISD alums, aspiring business owners and artrepreneurs a fully realized introduction to the rough and tumble world of starting a business and succeeding at it. Throughout the day, speakers covered important entrepreneurial topics that should be required courses at every American university: writing business plans, funding your idea, pricing yourself in the marketplace, financial bookkeeping, etc, etc. I was asked to present on the art of drafting your own contract. Despite the stodgy topic and the deadly 2:30pm time slot (mid-afternoon = nap time for me), my audience was engaged and interested in what I had to say. After my presentation, I was mobbed by attendees who wanted to pick my brain about specific issues they were dealing with. Obviously I have to be careful about what I say to people I’m not representing; there’s a fine line between providing free legal information and providing legal counsel. One of those creates an attorney-client relationship and makes me liable. The other doesn’t. Anyway, one young man, let’s call him Joe, asked me how to get out of an oral agreement he had with a friend. Their work relationship had soured and both friends wanted to dissolve the business. It turned out that neither really lived up to each other’s idea of what the other was supposed to produce, and this eroded the trust they had in each other to be a worthwhile business partner. I hate to sound pithy, and I don’t want to minimize the gravity of Joe's situation - that is, possibly losing a good friend over a non-existent business* - but nothing he said surprised me. Maybe I’ve just seen enough bad behavior or maybe I’m just cynical by nature, but why would you ever trust anyone to enter into a business without first commemorating that agreement in writing? Especially friends or family? I get the impulse, certainly. You already know and trust them with your personal stuff. But here’s the deal. Most of the time, you’re not going to be screwed over in a massive, purposeful, stinging betrayal. It’ll be entirely by accident, with each little problem manifesting slowly over time. Joe hadn’t been double-crossed. His friend didn’t steal from him or lie to him. It just became clear to both of them that their work habits didn’t gel. And that created a sense that neither could rely on the other, dooming the business. And because there was no written agreement to memorialize how they were supposed to act, neither knew how to act. Trust has to be earned. And even if your friend has earned that trust on a personal level, once business is on the line, they have to re-earn it because the attributes that make someone a good friend aren’t the same as those that make someone a good business partner. A written contract can help smooth over that transition. You can specify each party’s responsibility, level of contribution, and amount of compensation. By putting all these things on paper, you skip over that part where it dawns on you that you can’t rely on your friend. In other words, the writing will help you manage your expectations of the other party. And that way, even if the business relationship doesn’t pan out, you may still be able to salvage the friendship. *Luckily for Joe, he and his friend never formed an actual business entity. With the exception of a sole proprietorship, all business formats (LLC, Corp. S. Corp., Partnership) requires executing documentation. That is, you need something in writing and/or file something with the state. Since Joe never did that, no business entity exists.